Dave Evans recently dropped into Undercover.fm to tell his story about the origins of AC/DC. He says the band formed in 1973 after he answered an ad in the Sydney Morning Herald for a heavy rock singer that Malcolm Young had placed. A week later, Malcolm’s brother Angus auditioned and joined the band. Interestingly, and contrary to widely-accepted stories as to the origin of the band’s name, Dave suggests the name ‘AC/DC’ came from Sandra Young, the wife of George Young. “It was easy to remember, was short and sweet and it means power,” Dave said. Read the full story and watch the video interviews at Undercover.fm. 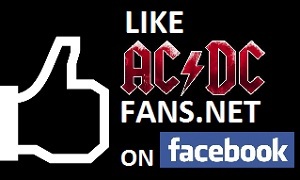 Get all the latest AC/DC news here at ACDCfans.net.